Last week my friend Emma mentioned that she had seen a video on how to make cake pops, and she fancied having a go with 'the kid'. 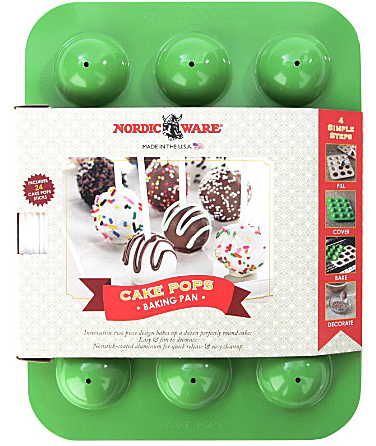 I had one of the Nordic Ware cake pops pans at home, so I let her give it a go with the boy wonder. They loved it! 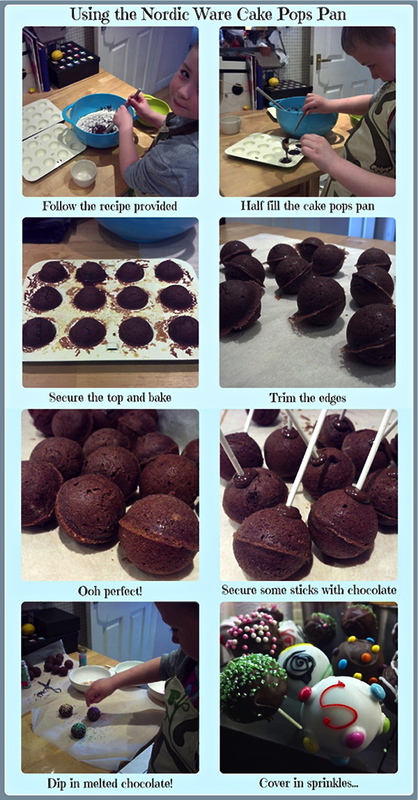 The chocolate fudge recipe that came with the pack was easy to follow and the instructions worked like a dream. The result was a reliable bake which was easy to remove from the tin, was fun to decorate and tasted amazing!